Incorporated in 1878, Crawfordsville was named for U.S. Senator William H Crawford. Its population in 2000 was 572. I don’t know its population in 1910 when the postcard was postmarked. I find it interesting that the card was mailed to a small town that was only five miles away. There are some things that you can’t make out from the scan. The sign on the top of the first building on the right says Bank of Crawfordsville. The next sign just above where the people are standing says Melton’s Pharmacy. Next to it says Dry Goods, Millinery, Clothing, & Shoes. The domed building on the far left is the Taliaferro County Courthouse. It must be a beautiful little town because in 2002, the movie Sweet Home Alabama was filmed there. I don’t know the age of this card. However, I wasn’t the only person who thought this card was worth keeping. A previous owner used a rubber stamp on the back of the card to identify that that the card was a part of their collection. Other than that, the card is in great condition. Even more frequently I find the price marked directly on the cards. Some of those can be removed if they were made with a pencil, but I have not found a good way to remove ink. I am glad that hobbyists no longer mark directly on the cards. For a old card the detail is amazing. For example, the clock on the tower shows that the photo was taken at five minutes after two. With the magnifying glass you can also read the writing on the buildings. I don't know the date of the postcard. This postcard states that this is the largest building in the world. It also states that the Apollo Saturn Moon Rocket WILL be assembled in the building. The statements help date the card. Construction was completed on the VAB in June 1965. This card was produced in 1940 as part of the U.S. Navy series from Curt Teich. The aircraft on the card are single seat biplane fighters. At first glance the two cards look very different. However a close inspection will reveal that the two cards were produced from the same photo. Some good evidence is the Copyright by Haynes on both cards. Even though they are from the same photo I am convinced the cards were produced at different times. The real photo card dates to sometime between 1950 and 1960 and the linen card dates to sometime in 1936. The linen card date was based on information obtained from the Guide to Dating Curt Teich Postcards. The real postcard date is based upon Playle’s guide to Real Photo Postcards Stamp Backs. This hotel no longer exists. The fact that it opened in 1911 and burned down in 1960 helps to validate the dates. Notice the two cards were obviously prepared from the same photograph. That appears to be the only thing they have in common. Each has different publishers, different printers, different wording, and yes, even different clouds in the sky. I wonder which was produced first. My guess goes to the one displaying the copyright. We know the cards were published between 1916-1930 because of the white border on the cards. The change to white borders was made by the US in World War I to save ink. The David Wills House is open to the public and operated in cooperation with the National Park Service. For more information about the house, go to Gettysburg, the most famous small town in America. 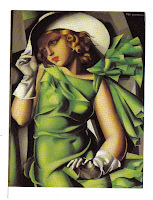 The postcards were given away at the St. Louis World's Fair to advertise the cigarettes. At the fair, Dr.Pepper, cotton candy, ice tea, peanut butter, and waffle style ice cream cones were first introduced to people. This mail was carried on a train that run between Greenville and Columbia S.C.. That line is no longer in use. Also I don't think the Bookman post office exists any more. It appears this card was postmarked on a railroad train because it has rms in the killer bars. From the text on the card the people most likely placed the card in the mail in LA, CA and the card was to be delivered to family in Independence, Kansas. Why is it post marked Denver Colo Air Mail Field? Was the card placed on a air plane in Denver to complete its journey to Independence or did it continue on rail to Independence? What does M.A.C. stand for? Do you know anything else about the card? Thanks. I thought it was interesting that it was a girl’s high school. I would appreciate any history you may know about the school, such as, is the school still standing? If so, what is its current name? Was it an all girl’s school? Was it a public school? Any help will be appreciated.